With Jess Jackson gone, what’s next for winery? Although Jess Jackson, founder of Kendall-Jackson, had announced his retirement from his billion-dollar wine enterprise years before he died Thursday at 81, he was still calling the shots. And he was still adding to the business. The Santa Rosa company was his to run. Whether it was introducing a wine to the market, acquiring a label or tapping culinary talent for Jackson Family Wines, he was involved, said company spokeswoman Caroline Shaw. 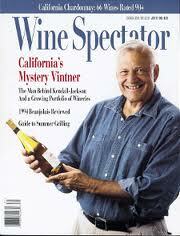 But his death hastens the end of an era in California’s wine industry. Most of the household names among the pioneers of modern California wine – Robert Mondavi and the Gallo brothers – are gone. And as family wineries are swept up by large conglomerates, what’s the future for Jackson Family Wines without its energetic and charismatic patriarch? Family members say it will be business as usual. With no plans to sell – the company walked away from a reported $1.75 billion deal to sell Kendall-Jackson 10 years ago – Jackson left a road map that would ensure that his widow, Barbara Banke, and five children will continue to run the business, which employs more than 1,000 people.